What are the red and green meters on the game board? The meters on the game board show clash strength. Clash strength determines who will win in a human vs. zombie clash, should any human team(s) end any given day in contact with the Zombie Horde. 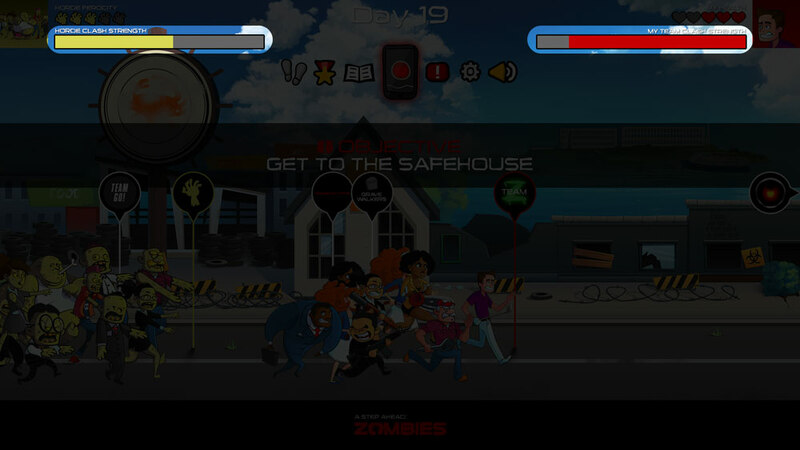 If you are playing as a human, the red meter indicates your team’s clash strength, and the green meter indicates the Zombie Horde’s clash strength. Track exercise in the UtiliFIT Tracker and/or play UtiliFIT Deskercise games to increase your team’s clash strength. 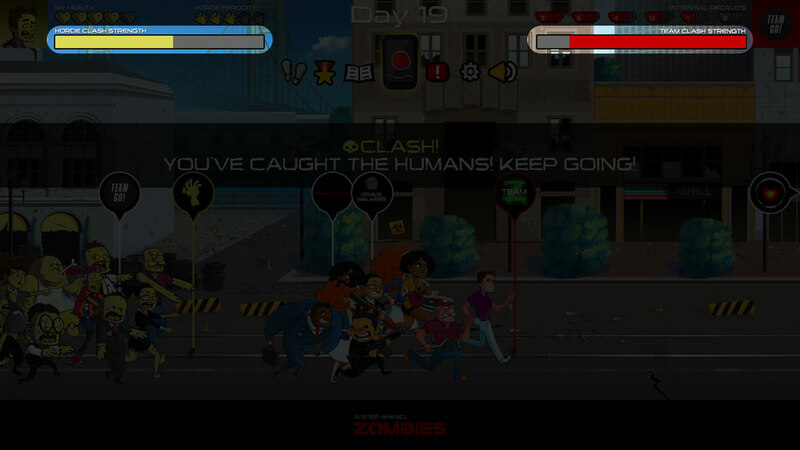 If you are playing as a zombie, the red meter indicates the clash strength of the nearest human team, and the green meter indicates the Zombie Horde’s clash strength. Track exercise in the UtiliFIT Tracker and/or play UtiliFIT Deskercise games to increase the Horde’s clash strength. What is my Weekly Progress? What does being “sick” mean?